ABOUT A classic! looks like a russian power plant control. 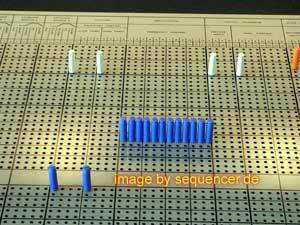 a matrix controls what is modulated by what source. there are not too many requests for keyboards or midi, quite "clinical" Sound, very british also. 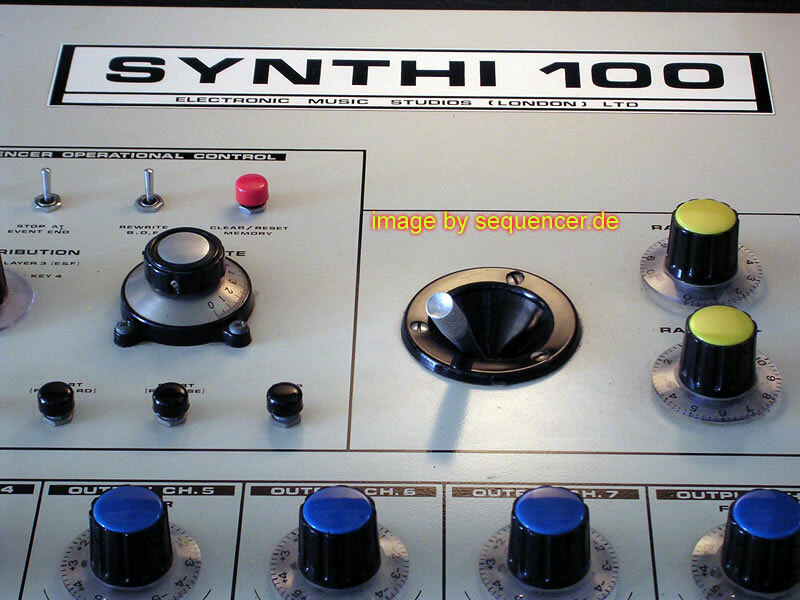 quite minimalistic (no lfo and only one ENV). anyway worth more than one ear. 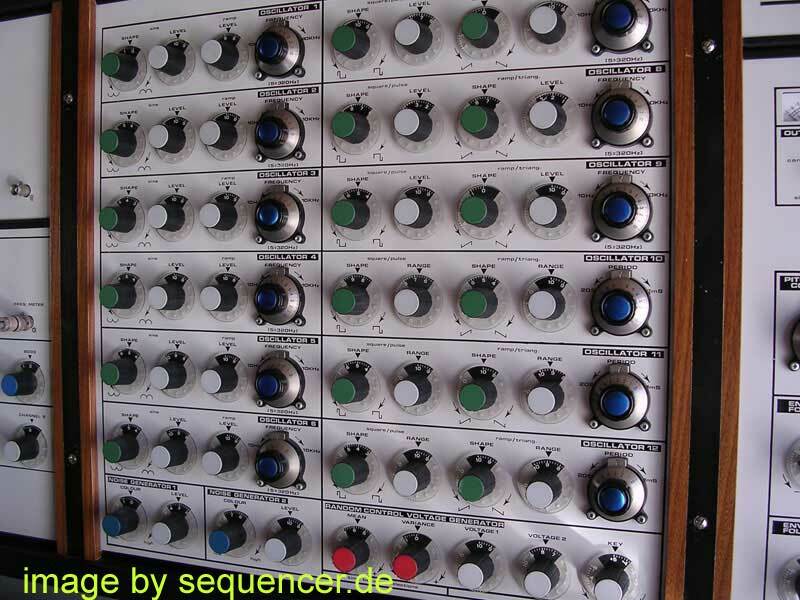 dr. who was recordet with one of them and stockhausen told about it "boring filters but a fascinating sequencer"
ABOUT Ein Riesenmonster, Eigentlich wie mehrere VCS3 in einem mit einer 60x60 Matrix als Steckfeld. Der Klassiker, sieht aus wie ein russisches Schiffeversenken. Über eine Steckmatrix kann jedes Ziel moduliert werden. Er hat eigentlch eine eher spartanische Ausstattung, dennoch einen sehr speziellen "Klinik"-Sound. British ist das Instrument durch und durch, schon weil Dr.Who damit aufgenommen wurde (Sci-Fi). DETAILS what can I say? 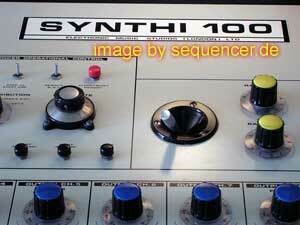 OSCs 10,11,12 made for mod purpose (500 hz max. ), 12 OSCs total, 8 filters and 3 envelopes (those trapezoid generators), cv: 0.5 V/oct. 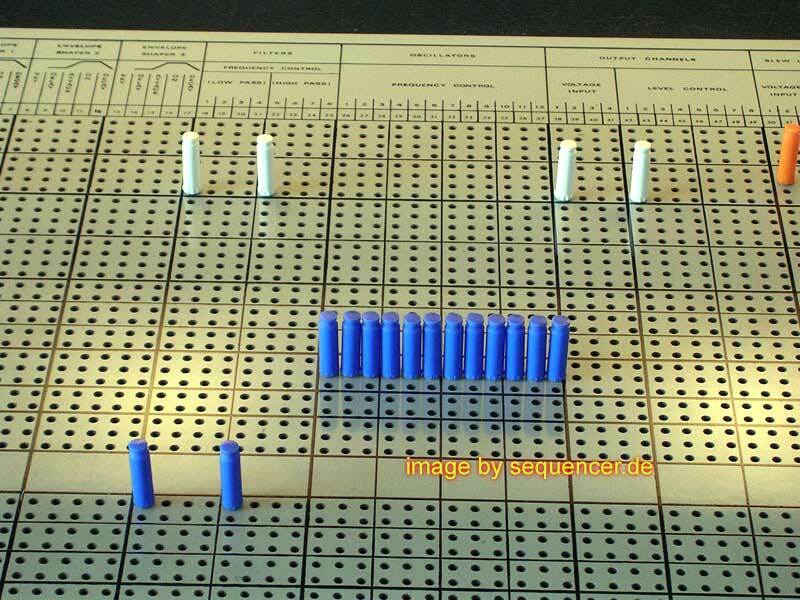 - 60x60 mod matrix. 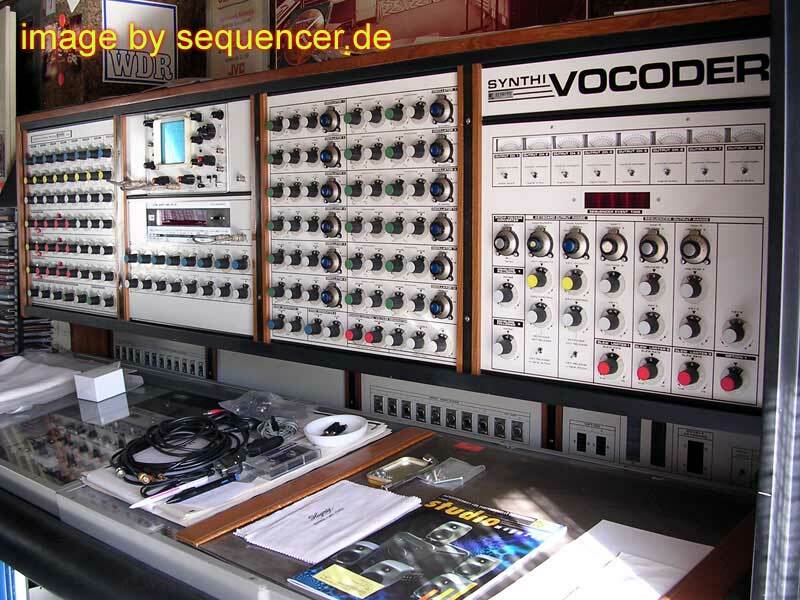 SOUND effects, wonderful noise machine, not so stable OSCs, cool for those who also have everything..
SOUND effekte, wunderbare Krachmaschine, modular , nicht stabil aber wirklich kultig, super für Millionäre. Das Monster, mit dem ua auch Dr.Who gemacht wurde.. 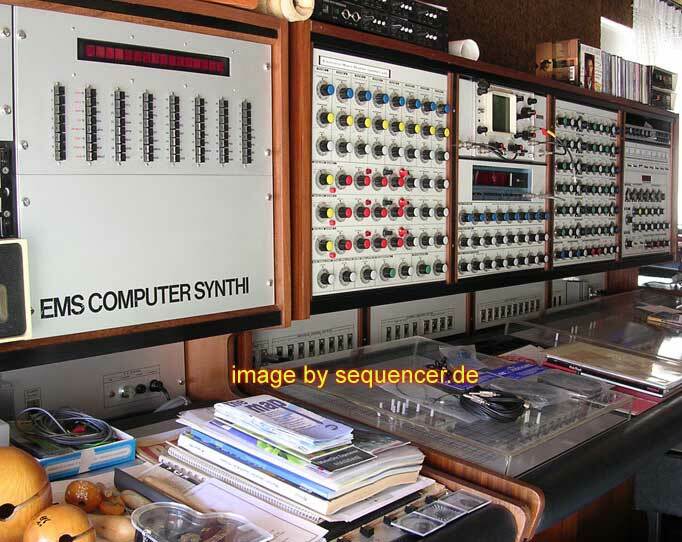 I should not talk about the Synthi 100, that had 12 OSCs like the VCS3 had, 8 filters and a very biiig matrix.. matthias becker (wrote for keyboards mag/germany and did the synthesizer von gestern (vintage synthesizers) books & CDs). He had to break in some walls to get it into his living-room ;) it had quite similar idea of patching and specs.. but think BIG here. the EMS is the one on which Dr.Who was played and recorded. 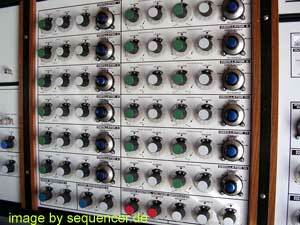 the sequencer control, btw: a filterbank is in there, too..
the big modulation pin matrix. 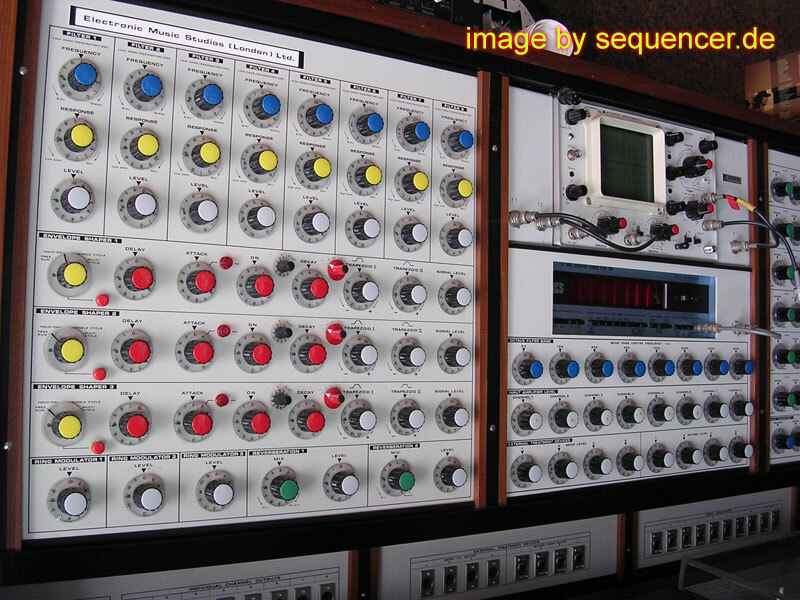 Peter Zinovieff founded the EMS which first started as an early studio for electronic music, the VCS4 was part of it and later the Putney (VCS3) was the first product to sell, designed by David Cockerell in 1969 (!). it revolutionized the music and was used as a noise machine quite often.